On November 2, the Community Development Authority invited members of the public organizations of Dubai to the event on the occasion of Flag Day celebration. The event was held at the International Institute for Tolerance, which was established in June 2017 by His Highness Shaikh Mohammad Bin Rashid Al Maktoum, Vice-President and Prime Minister of the UAE and Ruler of Dubai. After a short official part and welcoming speeches of high-ranking officials, the guests were invited to take part in the procedure for raising the flag of the UAE. From 16 to 18 March the Dubai International Trade Center hosted the Dubai International Horse Fair. The event was held with the support of the Community Development Authority. Guests could admire the wonders of the Spanish dressage, take part in the horse auction and photography competition. The younger guests were enjoying their time in Heritage Village and Fun Farm. In evening all guests could enjoy a colorful dance performance by teams from Russia and India. 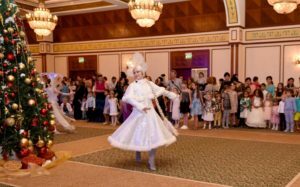 According to long-standing tradition, Rossiyanka participates in celebrating International Days, which take place in Dubai schools around January-March. International Day is a wonderful holiday, allowing school children from different countries to learn more about the culture and traditions of each other. On March 16 the International Day was held at Kings’ School Al Barsha. From the very morning the school’s courtyard was filled with children and parents dressed in colorful national costumes. The participating countries thoroughly approached the preparation of the event and the guests of the holiday could not only admire the bright stands where objects of everyday life and various souvenirs were presented, but also taste the most famous dishes of national cuisine made by parents of schoolchildren. From different parts of the courtyard came the sounds of national melodies and one could see dancing children and adults. This year, members of the Rossiyanka Community also took an active part in organizing the Russian stand. The Russian stand conveyed the wealth and generosity of our country not only in the form of numerous traditional household items – samovar, matryoshkas, Khokhloma… Our hospitable hostesses – Russian moms and members of Rossiyanka cooked the most delicious dishes of Russian cuisine – homemade pickles and salads, fresh pastries… Guests of the Russian (and there were a lot of them) were welcomed by real Russian beauties in bright sarafans and kokoshniks. At the end of the holiday, guests enjoyed performances prepared by representatives of different countries. Songs and dances of all participating countries performed by young talents couldn’t leave spectators indifferent. It has become a good tradition already for members of the Community of Russian Women to gather in a friendly home of Tatiana and Saleh Al Aroud to celebrate the remarkable Russian holiday – the Old New Year with friends and compatriots. Despite the cool breeze, the evening was warm and heartfelt. Everyone could show their singing skills to the sounds of famous New Year songs in an improvised karaoke and also compete in dancing to the well-known hits in live performance of our musicians. A special surprise prepared by our performers was expecting the guests – gentle waltz to the magical music of Lara Fabian, a bright acrobatic show and a mesmerizing fire show. On December 27, 2016 a traditional Christmas Tree event for Russian-speaking children living in the UAE hosted by the Embassy of the Russian Federation in the UAE and the Community of Russian Women “Rossiyanka” took place at Al Raha Beach Hotel in Abu Dhabi. The event was attended by over 500 guests. As has become a tradition, surprises were waiting for the guests starting from hotel lobby. Little guests received sweets from Katrina Bakery, as well as gifts from Alokozay Company and Orient Consulting & Translation. In addition, Russian Emirates Publishing & Advertising Company presented its new magazine – Russian Emirates Family and Kids. A beautiful show based on a Nutcracker fairy tale was arranged by event company Dance Design Entertainment managed by Elena Borisova. The Embassy of the Russian Federation in the UAE extends a special thanks to everyone who has assisted in creating a wonderful festive mood: Community of Russian Women “Rossiyanka” – T.Al Aroud and A.Astanina, Mrs. Svetlana Sabbah, T.Guseva, Manager of Al Raha Beach Hotel A.Tyukanova, companies – Lukoil, Al Aroud Group and AlRosa. On March 6 in anticipation of a wonderful spring holiday, Rossiyanka women gathered for the traditional morning tea not just to have a warm friendly talk, but to attend the master class held by a member of Rossiyanka community, a professional designer Anastasia Ermakova, and learn how to make a spectacular beach outfit. After all, what could be better than a stylish gift for the upcoming holiday created with your own hands, moreover if this a new outfit for the beginning of the beach season in sunny Dubai. Rossiyanka women started the work with great enthusiasm, professionally cutting out the details of a bright cloth, then treating the edges with French seam. Of course, once the tailoring process has been completed and the light flowing dresses were ready to wear our women staged an improvised fashion show. On behalf of all the women who attended the morning meeting, we express our appreciation and gratitude to Anastasia Ermakova for the fascinating master class. On February 22 in anticipation of the coming the most beautiful and the most feminine spring holiday – 8th March, “Russian Emirates” magazine decided to find answer to the eternal question – what is the true women’s beauty, and invited members of the Community of Russian Women in UAE “Rossiyanka” and the Overseas Russian Speaking Ladies Club to morning tea. Women gathered in one of the most picturesque places in Dubai – Downtown Dubai, opposite the Burj Khalifa, in a tea boutique Fortnum & Mason. The partner of the event was the largest in the Middle East network – Kaya Skin Clinic. Specialists from the clinic made presentation on innovative methods of preserving youth and beauty, showcased the instant tightening effect of facial skin using the E Matrix device. After the informative part over a cup of flavorous tea women discussed the most anticipated cultural March events in Dubai. On behalf of all the women who attended the morning meeting, we would like to thank “Russian Emirates” magazine for their invitation and for the wonderful gifts! Members of the Community of Russian Women gathered in a friendly home of Tatiana and Saleh Al Aroud to celebrate the Old New Year in a circle of friends and compatriots. Numerous guests were welcomed by the hosts of the evening. Despite a rainy January day, the evening was warm and home-like cozy. Musicians were performing famous New Year tunes and everyone could show their vocal skills in an impromptu karaoke, as well as to compete in dancing under incendiary hits performed live by our musicians. At the end of the evening all the guests received surprises from our friends – Adore Boutique. 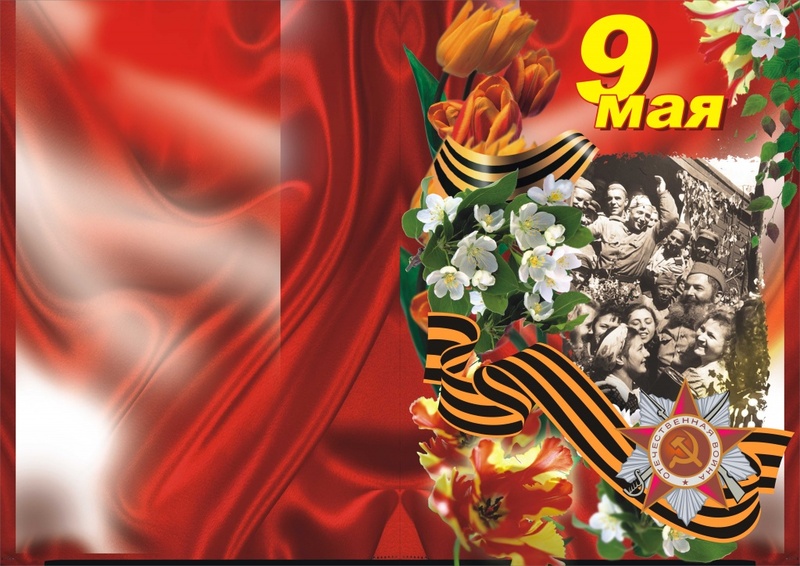 Dear compatriots, on this day the whole world remembers with gratitude the bravery of our soldiers-liberators! Let the courage and heroism of this great holiday will never be forgotten by anyone! Let the spirit of victory inspires the heart and leads forward – to new achievements and success! 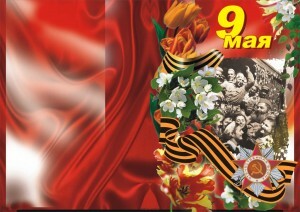 And let the whole world always live in peace and the word “war” be remembered only on this great holiday!Happy Victory Day! A special place among the mysteries is held by the mystery of numbers, their origin and influence on people. We are surrounded by numbers on every step of our lives, they accompany us from the day of birth to the last day. We can’t imagine living without numbers. What role do they play in our destiny? To reveal the secrets of numbers, to learn analyzing and understanding their meaning, we have invited a member of Rossiyanka community, psychologist-numerologist – Irina Marusyak. During three workshops Rossiyanka women learned about a method of a mathematician and psychologyst A.Aleksandrov, learned what means a Pythagoras Square and how to create a phychomatrix and a personal Wheel of Fortune. Seminars were held in a fun interactive way, Irina gave interesting examples from life. It turned out, even a person’s name in its different variations also has certain information and changing the last name may have an impact on a destiny of a person. On behalf of all women who attended workshops on numerology, we would like to express our appreciation and gratitude for the opportunity of self-development and learning new things given by Irina Marusyak.